A reportedly man-eater tigress named Avni or T1 was recently killed in October 2018 after a trail over 3 months by over 200 men with sniffer dogs, drones and trap cameras. The hunt also became a controversial topic as conservation of tigers is felt very important. For conservation of tigers in India, various measures have been taken by the Government over past few decades. It was established in December 2005 by a recommendation of the Tiger Task Force. It aimed at reorganised management of Project Tiger. It was formed by an Amendment in year 2006 in the Wildlife Protection Act, 1972 (enacted for protection of plants and animal species) making it a statutory body. NTCA is under the chairmanship of the Minister for Environment and Forests. The Authority lays down standards and guidelines for tiger conservation in the Tiger Reserves, National Parks and Sanctuaries. It provides information on protection measures including future conservation plan, tiger estimation, patrolling, etc. It facilitates and supports tiger reserve management through eco-development and people’s participation. Safeguards for ensuring the agriculture, livelihood, etc of people living inside a forest or in and around a tiger reserve have been provided. The core and buffer areas are explained to avoid ambiguity. It was launched in 1972 by the Government of India. To protect and improve the tiger population in India, it has supported an intensive program of habitat protection and rehabilitation. A Tiger Protection Force has been set up to combat poachers. Villagers are relocated to minimize human-tiger conflicts. All India tiger estimation is done once in every 4 years. The assessment is done using camera traps in a statistical framework based on the approval of Tiger Task Force. Smart patrolling protocols like M-STrIPES (Monitoring System for Tigers Intensive Protection and Ecological Status) that uses GPS (Global Positioning System) devices, software and Geographical Information System (GIS) is also used in some reserves. There are 50 tiger reserves in India like Jim Corbett (Uttarakhand), Kanha (Madhya Pradhesh), Periyar (Kerala), Namdapha (Arunachal Pradesh), etc. 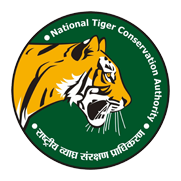 These reserves are governed by Project Tiger which is administered by the NTCA. India has 70% of tigers in the world. Thus, tiger population in last century declined rapidly due to reasons like poaching. Later, Project Tiger helped in proper counting and increase in their population. The increase in tiger population in recent years indicates tiger reserves have maintained viable populations. But, there is need for wildlife corridors to allow tigers to move between source sites. It is important to save tigers as they are terminal consumers in the ecological food pyramid. Their conservation results in the conservation of all trophic levels in the ecosystem. It is a multinational treaty to protect endangered plants and species. It was drafted as a result of resolution adopted in 1963 at a meeting of IUCN and came into force in 1975. Although CITES is legally binding, it does not take the place of national laws. CITES secretariat is administered by UNEP which works closely with NGOs like TRAFFIC is a wildlife Trade Monitoring Network founded in 1979 by WWF and IUCN. It ensures that trade in wild plants and animals is not a threat to the conservation of nature. It has played a crucial role in improving international efforts for tiger conservation. It has put efforts to ban the trade of tigers. Tiger populations which once ranged widely across Asia, has lost 93% of its historic range over the past 100 years. Its population has declined rapidly (from about 1 lakh at the start of the 20th century to estimated 3,890 worldwide) due to reasons like habitat destruction, habitat fragmentation and poaching. It has been classified as endangered in the IUCN Red List. Internationally, bodies like CITES and TRAFFIC have put their efforts for conservation of tigers. In India, initiatives like Project Tiger are important and efforts must be continued to improve their population further to conserve the ecological pyramid. With reference to the IUCN and CITES, which of the following statements is/are correct?